Guns N’ Roses have added a series of Asian dates to the fall run of their Not In This Lifetime world tour. “We're not done here yet...” says the band as they deliver news of six November concerts in the region (see list below), including stops in Indonesia, the Philippines, Malaysia, Taiwan, and two shows in Hong Kong. The group will perform the new 2018 tour additions ahead of a previously-announced November 25 concert at the Formula 1 2018 Etihad Airways Abu Dhabi Grand Prix in the United Arab Emirates. 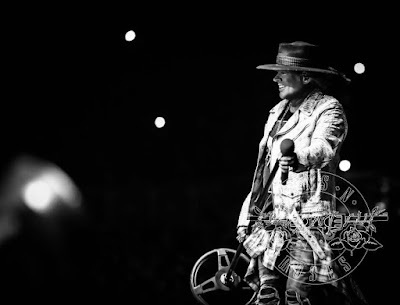 Guns N’ Roses will resume the reunion tour with shows in Europe this summer starting June 3 in Berlin, Germany. The set is being previewed with a lyric video for “Shadow Of Your Love”, which recorded with Mike Clink during the 1986 Sound City sessions.